Ralph talks about the institutional corruption behind the practice of gerrymandering with David Daley, author of Ratfucked: The True Story Behind the Secret Plan to Steal America’s Democracy. Then Robert Weissman, President of Public Citizen tells us what he thinks President Obama should do in the final days of his administration. 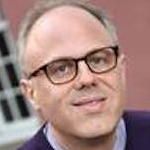 David Daley is the former editor in chief of Salon and the recently appointed CEO/ Publisher of the Connecticut Mirror. He is the author of Ratf**ked: The True Story Behind the Secret Plan to Steal America’s Democracy, which is a study of the 2010 REDMAP campaign, which was a nationwide strategy to gerrymander state electoral maps in favor of the Republican Party. 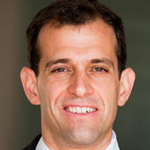 Robert Weissman is the president of Public Citizen , one of most influential public interest organizations in the country. Public Citizen is dedicated to resisting corporate power and defending democracy. In the wake of the Trump electoral victory, Robert has appeared on many media outlets, including NPR and Democracy Now! to talk about the potential conflicts of interest Donald Trump’s businesses pose as he assumes the presidency. I enjoyed this radio show. Thank you.